Sitting on the floor – somewhat bewildered, that Sunday after the happy couple came round for the first time – frantically thumbing through my books looking to be inspired by something impressive I came across a decadent looking layered pistachio cheesecake. A combination of creamy pistachio cheesecake, little cubes of syrup soaked sour cherries in the middle topped with a pistachio mousse and then sprinkled with ground pistachios. This was my starting point for putting the wedding cake together. 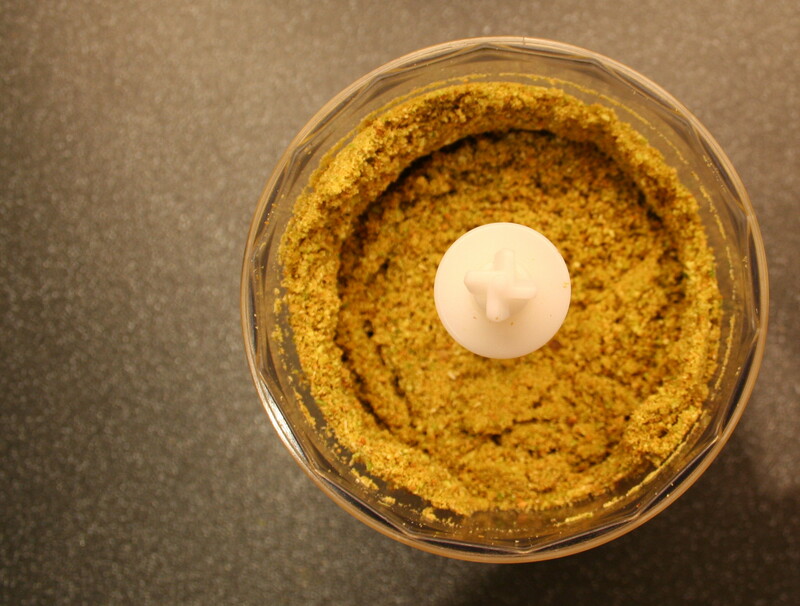 Stumbling at the first hurdle though, every component of this cake needed pistachio paste. I’d never seen in it supermarkets, but presumed it would be easy enough to find in London – I mean you can practically buy anything if you’re willing to spend a bit in fancy specialist food stores. 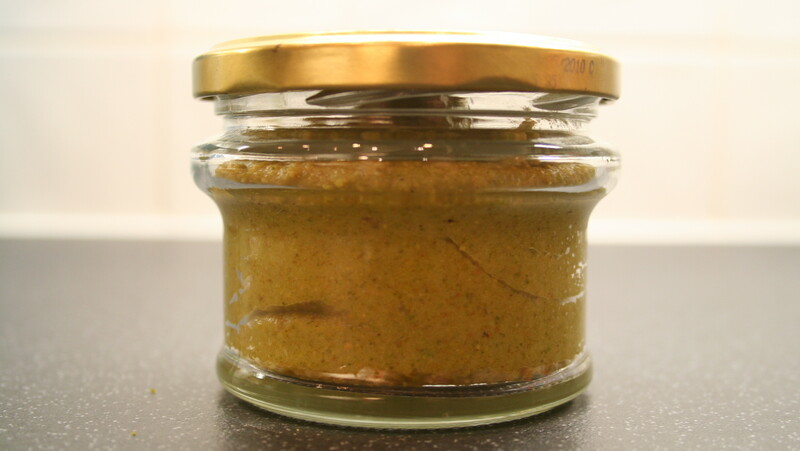 I googled it, and although pistachio paste is a common ingredient in French and Italian baking, I couldn’t find a single source to buy it from in the United Kingdom. Ordering from online shops in France was easy enough but paying £25 with postage for a small jar of paste seemed obscene. So, my only other option was to make it. 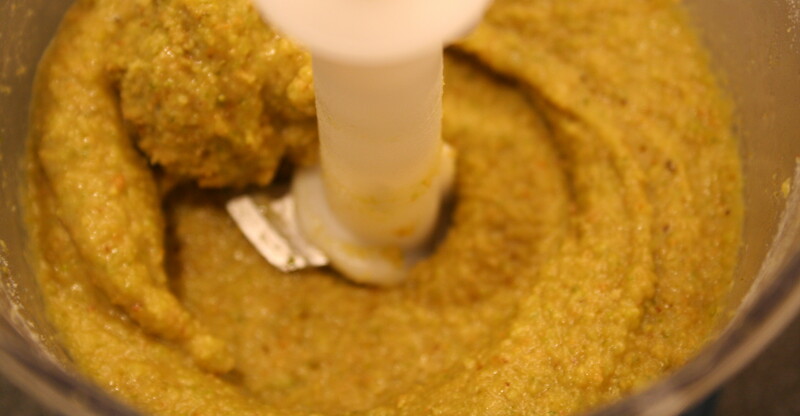 More googling and blog perusing, and it seemed the green paste was relatively fuss free to make. That said, the first batch I made was a disaster. It called for boiling sugar syrup as opposed to icing sugar – and getting the syrup temperature right without it caramelising, and getting it mixed into the nuts at the right point proved trickier than I though and I was left with molten mess of nut rock. In the end, I adapted a recipe by blogger Dailydelicious and was left with a jar of yumminess. The only other thing I can compare it to is peanut butter – although peanut butter seems like it’s decidedly poor cousin. The flavour is intense. As I licked it off the back of a teaspoon, savouring it, I knew that I would find many more uses for this paste than just flavouring cake. Preheat the oven to 170°C (150°C for fan oven). Place the pistachios in a bowl, pour freshly boiled water over them and leave to soak for ten minutes. While the pistachios are soaking, make the syrup. Place the sugar and water in a heavy bottomed saucepan and bring to the boil. Once the sugar has completely dissolved remove from the heat and allow to cool. 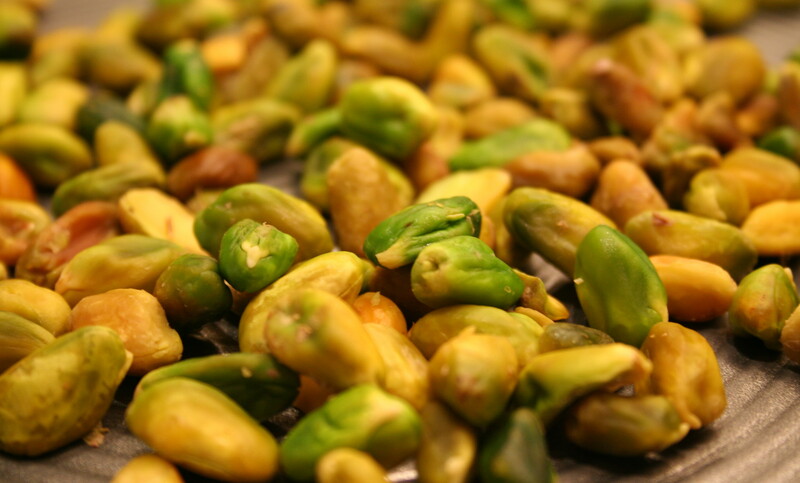 Drain the pistachios and peel the outer skin off the nuts – it will reveal super green, shiny nuts. Place them on a baking tray and dry roast in the oven for 15 minutes. Remove from the oven and allow to cool. Weigh off 70g of nuts (this should be almost all of them) and place them and the icing / confectioners sugar in a food processor. Blend until finely ground. Slowly add the syrup, a little at a time, and blend until you get a smooth paste. It should have the consistency of grainy peanut butter and should not be watery. 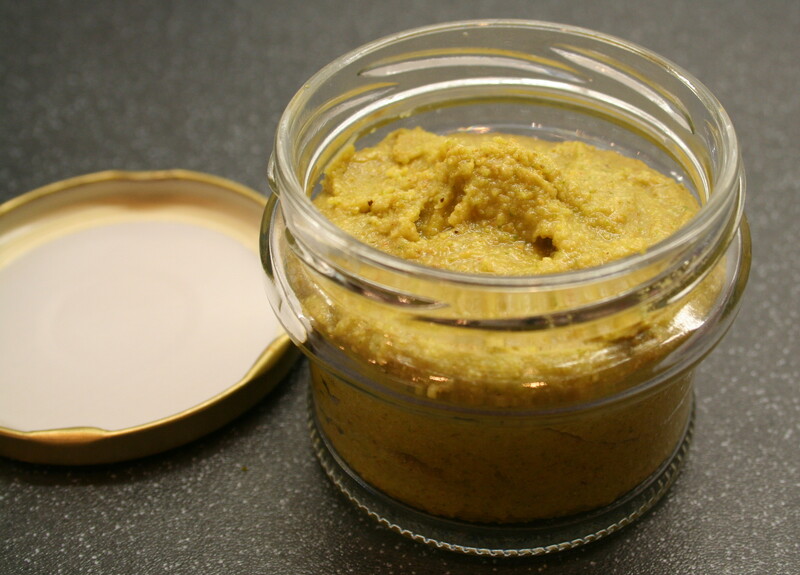 Place the paste in an airtight container and store in the fridge until use. This entry was posted on Wednesday, March 28th, 2012 at 22:06	and tagged with nuts, pistachio, wedding cake and posted in filling flavours. You can follow any responses to this entry through the RSS 2.0 feed.